Whether you know Mark Driscoll as “the cussing pastor” or something worse, no one can deny the work of God in Seattle, Washington that has surrounded his life and ministry for the last 19 years. You also cannot deny the controversy that it has gathered – almost from the day Mars Hill Church opened its doors for the first time. Whether God accomplished this work because or despite Mark Driscoll, the fact is a work happened, and the story needs to be told. In the late 90s, Seattle was one of the least “churched” cities in the US; that is, on any given Sunday, fewer adults could be found in church as in any other city in America. Desire for churches was at a low, and desire for Bible-teaching churches was even lower. But a 25-year-old from a rough neighborhood of the city had developed a heart for Seattle in the six years he’d been a Christian, and in Spring 1996 Mark Driscoll, along with two local friends, launched a church that sought to change Seattle for the better. Driscoll was responding to a call God had audibly given him years earlier: “Marry [girlfriend] Grace, plant churches, and train men,” God had said. Grace was already his wife when the church opened, and over the next two decades Driscoll fulfilled the other two parts of the call in spades. Through a speech he delivered at a Leadership Network conference, Driscoll became a major part of starting the “Emerging Church” movement in the late 90’s, though he later distanced himself from the group. The Acts 29 church planting network was launched out of the church a few years later, a network which has now breathed life into over 500 churches worldwide, as well as training up men to be pastors through the Resurgence resource network. Plant churches and train men, check. Amid planting other distinct churches, Mars Hill was also a pioneer of the multi-site church movement: after several moves between buildings that were clearly orchestrated by God himself, the church began to grow beyond a single building and became one church in many locations. At its height, Mars Hill was a church with 12 sites in four states, and a combined weekly attendance that neared 10,000. 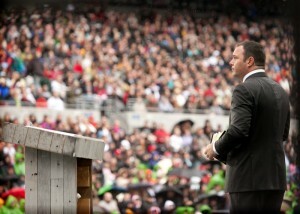 On April 24, 2011, Mars Hill hosted the largest church service in history, welcoming 17,500 people to Qwest Field for a massive Easter service for the entire congregation – the first time the church had met as a single congregation in five years. 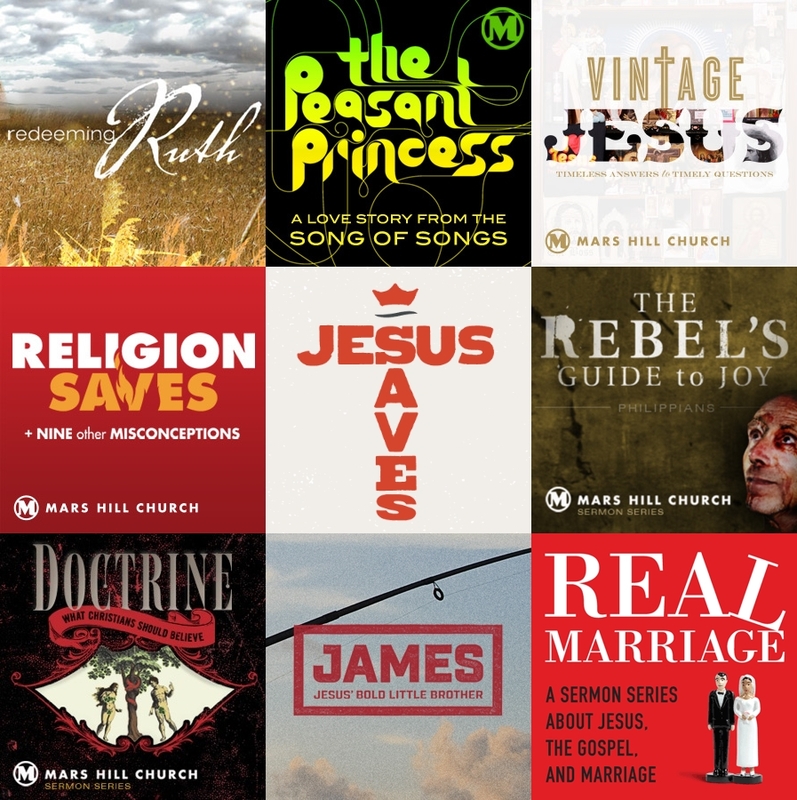 Dozens of sermon series came out of the church’s ministry, as well; notable series such as Redeeming Ruth, The Rebel’s Guide to Joy, and The Peasant Princess have touched hearts and changed lives. A theme of redemption became a consistent refrain within Mars Hill: the church redeemed a notorious nightclub in downtown Seattle as a worship center, side ministries such as Redemption Groups brought hundreds of people out of addictions and poor situations, and Film and Theology was launched out of the church, a ministry which inspired many people and ministries – including Redeeming Culture. 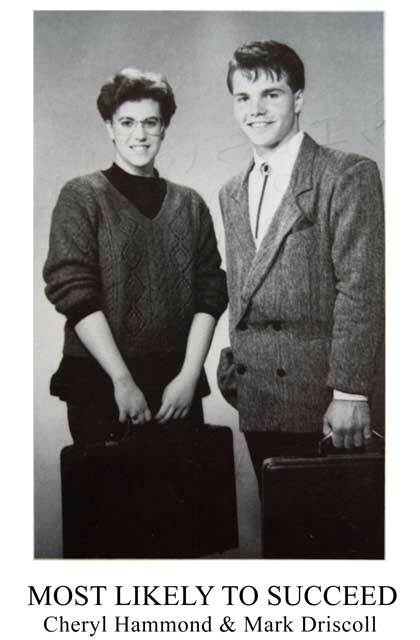 But Mark Driscoll would be the first to tell you that 25 is probably too young to plant a church. “I was not ready,” he said, and though initial explosive success gave way to sustained and steady growth, the years of Mars Hill were marked with pain to rival the joy. And as often happens in large organizations, the church’s greatest threat came not from outside, but from inside. In 2007, the church was reorganized with new by-laws, a move that was attacked as a way of putting more power in the hands of a core few. In 2012, the way that Mars Hill dealt with the discipline of a member caught in sin became a touchstone for anger and dissent within the congregation. On a personal level, Driscoll was fraught with health problems and personal attacks. As a church, Mars Hill was often maligned for its stance on cultural issues such as homosexuality and the role of women. His appearances on local and national media garnered angry comments and ad hominem attacks; disputes about the validity of Driscoll’s books’ appearances on the New York Times bestseller list surfaced. And in 2014, despite massive growth in attendance and church effectiveness, accusations of pastoral bullying became the last in a long line of accusations against the leadership of Mars Hill. Amid the church’s investigation of formal charges against him, Mark Driscoll stepped down from his post as lead pastor of Mars Hill, citing a desire to stay out of the way and allow the grace of Jesus to be preeminent in the church, not suspicions of a man’s conduct. Church leaders rallied to his defense, insisting that he had not committed any sin that would disqualify him from ministry. No further accusations of misconduct appeared. But within just a few weeks, the church’s new leaders announced that Mars Hill would be dissolved and the campuses spun off into individual congregations. Preparations were made, sermon series concluded. And on December 28, 2014, Pastor Rick Warren preached the final message at Mars Hill Church. Some would call this a failure. But despite the end of Mars Hill, God used the church and the people to accomplish His work in Seattle and to the ends of the Earth. 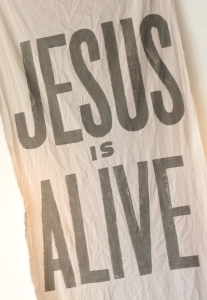 As the church said at every opportunity, “It’s all about Jesus” – and He was truly glorified. Despite the ending of Mars Hill as a particular church, its daughter churches will survive it. And in addition to the hundreds of church plants, the eleven churches which came out of its campuses continue to faithfully preach God’s word: North Church, Rainier Valley Church, Cross & Crown, Sound City Bible Church, Doxa Church, Redemption Spokane, Foundation Church, Resurrection Church, Harbor Church, Trinity West Seattle, and Redeemer Church. In Christianity as in life, there are heroes and villains. This isn’t a mistake; God wired us to see the world this way. His story has heroes and villains, and the end of this story is the victory of the hero, Jesus Christ. From Spring 1996 to Winter 2014, God did an amazing work in Seattle. To be sure, the work did not start in 1996, nor did it end in 2014; but for those almost 19 years, He used as part of that work a man and a church. The man was Mark Driscoll, and the church was Mars Hill. 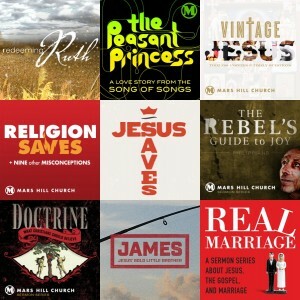 The history of Mars Hill Church is a long and fascinating one; for a more in-depth look at it, go to MarsHill.com (and if/when that site goes down, Redeeming Culture has archived that page’s history here). A book by Mark Driscoll, A Call to Resurgence, is available right now on Amazon, and if you buy it (or anything else) on Amazon through that link, you’ll help support Redeeming Culture at no additional cost to you. You can also visit our Redbubble store if you’d like some great Redeeming Culture stuff. Thank you! This entry was posted in Christian Culture and tagged churches, mark driscoll, mars hill, Top Ten 2015. Bookmark the permalink.